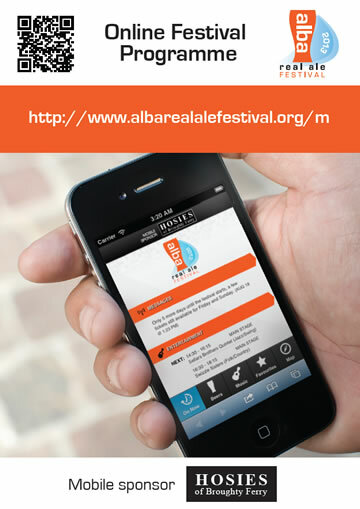 In 2012, we developed the website for the Alba Real Ale Festival. This year we helped them refresh their site and added a mobile programme built with jQuery mobile and WordPress. 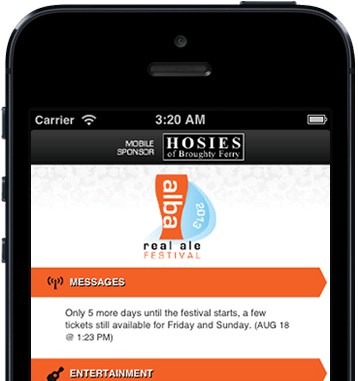 Not satisfied with having one of the best beer festival websites on the internet, the Alba Festival committee asked us to develop a simple mobile programme that festival-goers could access from their smartphone or tablet. In addition to the mobile programme based on jQuery mobile and WordPress, we added new functionality to the main Alba site. To make it easier to keep the website update and to feed into the new mobile programme, a new bands section was added. In addition to descriptive text, an image, music genre and website link were all added in a structured manner (effectively a mini band database). The Alba festival team started running a newsletter using the excellent (and free) MailChimp. We added a MailChimp sign-up form to the site so visitors could subscribe to the newsletter directly without leaving the site or needing to take any additional steps. Social media integration was also added to the main site so that news items, beers and bands could be easily tweeted and posted to Facebook – helping the festival to get social traction and adding to their impressive achievement of selling out for both Saturday and Sunday in advance of the festival opening.